I received a jar of New Canderel Sugarly as part of the April Degustabox (review of that to follow). 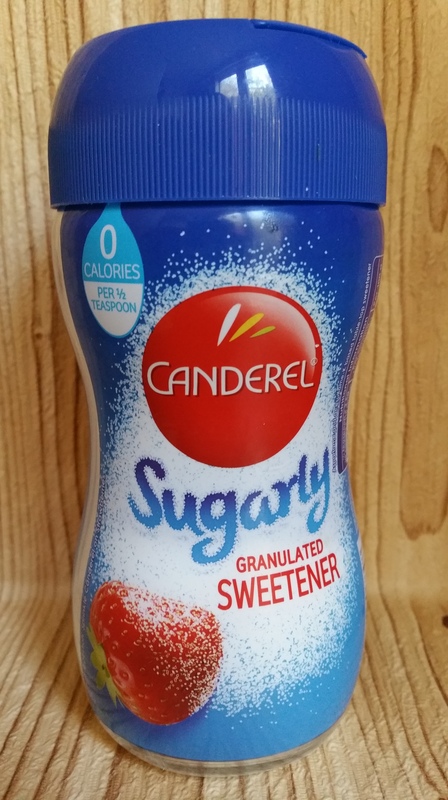 Canderel Sugarly is a zero calorie sweetener that looks and tastes just like granulated sugar. I’ll be honest, I was a bit dubious about this at first, as I have tried sweeteners in the past and found they have a rather unpleasant aftertaste. Thankfully, this one doesn’t! Phew! I decided I wanted to use this in baking, but silly old me didn’t read the information on the jar. If I had read it first time I would have known that you only need to use half the amount you would normally use if you were using normal sugar. As I didn’t read that initially, my first fruit cake was ridiculously sweet and not very nice at all! Luckily there was enough Canderel Sugarly left to make another one, this time with considerably less sugar! I will definitely use Canderel products again in baking now I have tried this. It is good too as it is suitable for diabetics when used as part of a balanced diet, and the fact it has zero calories makes it a healthier version for people trying to cut back on sugar or on low-calorie diets. This cake uses an easy boil on the hob recipe before it is baked. This makes it extra moist and the fruit extra plump and juicy. I normally use light soft brown sugar for this cake but substituted it for Canderel Sugarly this time. You can use any dried fruit you like. I used raisins, sultanas and glace cherries, but I have used dried cranberries and apricots too before. Whatever fruit you use, it is a delicious tea time treat. Preheat the oven to 180C/fan 160C/gas mark 4. Grease and line a small/medium loaf tin. Place the butter, fruit, nuts (if using), Canderel Sugarly, and milk into a large saucepan. Bring to the boil, stirring regularly. When the butter has melted and the Sugarly has dissolved, remove from the heat and leave to cool. Sieve the flour, spice and bicarbonate of soda together. When the fruity mixture has cooled, add the flour mix and the egg to the pan and mix thoroughly until well combined. Spoon into the loaf tin and sprinkle a thin layer of demerara sugar on top to add a tasty crunch. Bake in the centre of the oven for 40-50 minutes, or until a skewer inserted into the cake comes out clean. Leave in tin for 10 minutes then place on a wire cooling rack to cool. 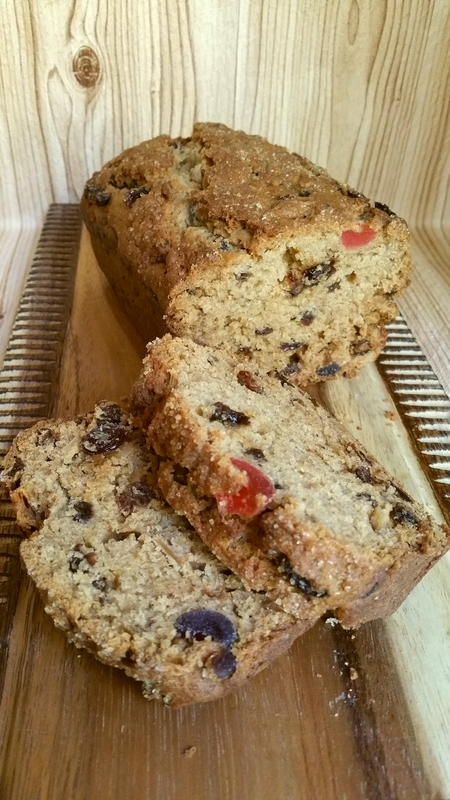 This fruit cake is delicious served slightly warm with a dash of cream on it, or cold with a nice cup of tea. DISCLAIMER: I received the Canderel Sugarly free of charge as part of Degustabox, but my opinions of it are by no means influenced by this fact. All views expressed are my honest opinions.